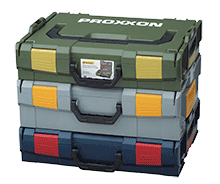 Organisation and safety in storage and transport for professional craftsmen thanks to the L-BOXX-system. 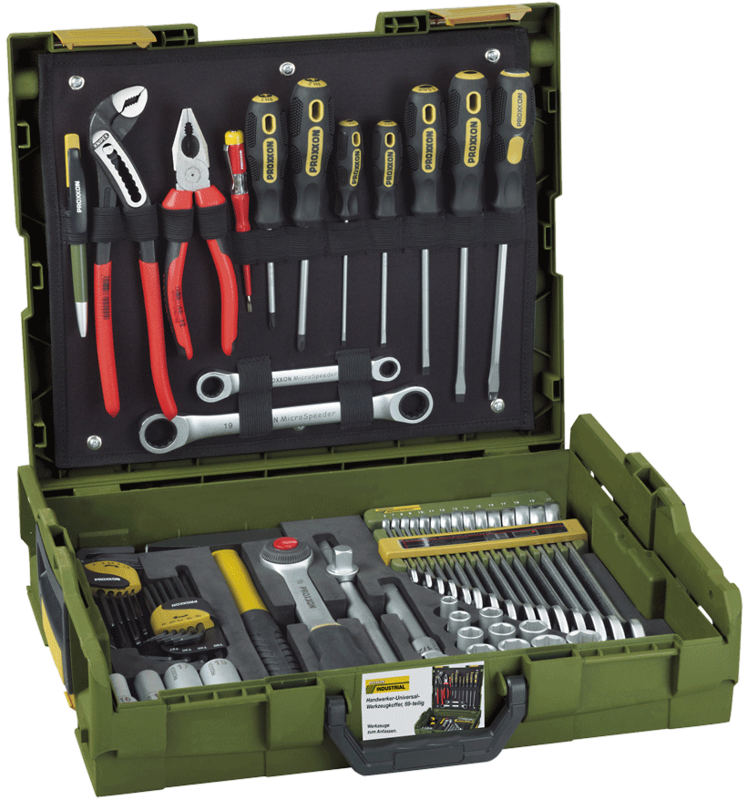 14 sockets 1/2" (12.5mm) 8 - 24mm, standard ratchet 1/2", universal joint, extensions 125 and 250mm, 4 deep sockets 10 - 19mm, 15 SlimLine combination spanners 6 - 21mm, MicroSpeeder ratchet spanners 10x13 and 17x19mm, 5 slot screwdrivers 3 - 6.5mm, Phillips PH 1 and PH 2, voltage tester, pocket key sets HX and TX (9-piece each), KNIPEX combination pliers 180mm and KNIPEX water pump pliers 250mm, ball-peen hammer (300g) with graphite handle. Store neatly, quickly and smoothly and transport safely. 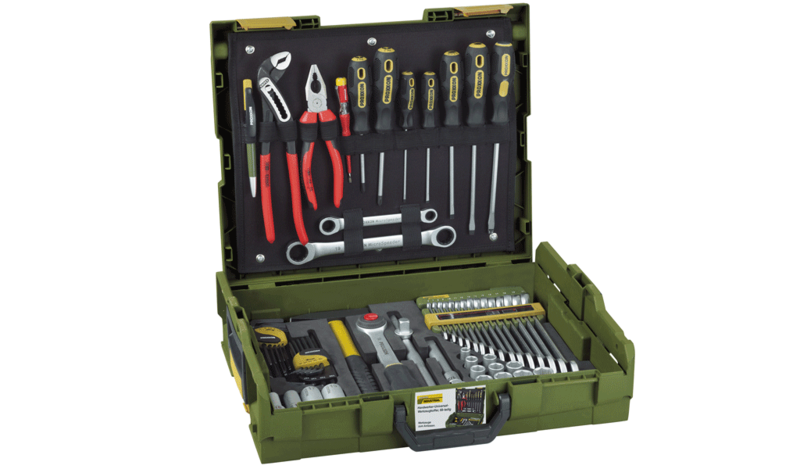 Compatible with numerous in-vehicleequipment- systems of well-known brands. Outer dimensions: 445 x 358 x 118mm. Tool panel pouch and foam inlay made of high quality materials.